The United Nations Fund for International Partnerships (UNFIP) was established in March 1998 by then-Secretary-General Kofi Annan. UNFIP is responsible for administering and developing partnerships between UN agencies, departments, and programmes and the private sector. UNFIP works with foundations and corporations that wish to support UN causes to identify opportunities for partnership and collaboration. In particular, UNFIP facilitates the UN's work with the UN Foundation, which Ted Turner established to donate US$1 billion to the UN over 15 years. UNFIP has also worked closely with the Bill & Melinda Gates Foundation, the Ford Foundation, the Rockefeller Foundation, the Synergos Institute, and the LTB Foundation, among others. The companies which UNFIP has engaged in partnerships include Google and Microsoft. The partnerships developed and managed by UNFIP all work towards achieving the eight Millennium Development Goals. UNFIP's priority areas within the MDGs, as identified on its website, are children's health, population and women, the environment, including biodiversity, energy, and climate change, peace, security, and human rights. UNFIP is overseen by an Advisory Board chaired by Deputy Secretary-General Asha-Rose Migiro. The Fund's offices are located at United Nations Headquarters in New York City. 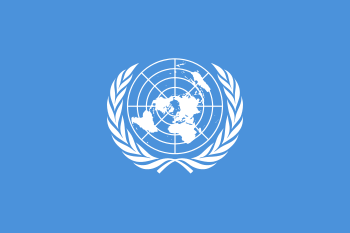 UNFIP is one component of the United Nations Office for Partnerships, which also includes the UN Democracy Fund. It is a sitting observer of the United Nations Development Group. ↑ A more complete list can be found at UNFIP's website.